Ghostfeeder to Tour with Pig and Julien-K this Summer! 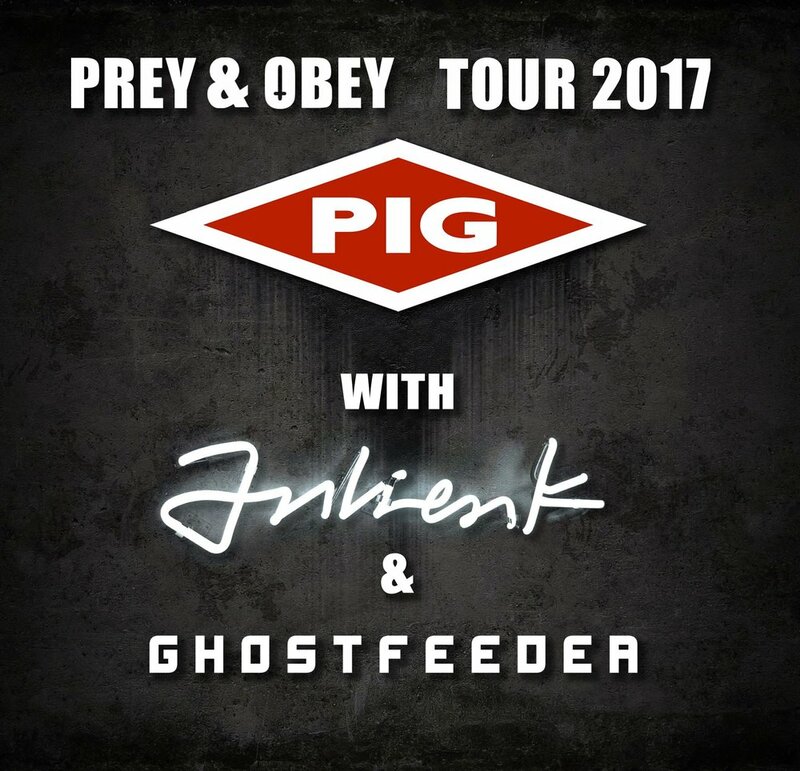 Our beloved band Ghostfeeder has landed the opening slot for this Summer's Prey and Obey Tour featuring PIG (Metropolis Records) and Julien-K. The full list of tour dates will be announced soon. Our friends in Ghostfeeder have started a GoFundMe page for their upcoming tour. Please contribute if you can and be sure to check them out on their major tour this summer. Stay tuned for details! Distortion Productions, LLC Signs Buffalo's Third Realm! Distortion is so happy to announce the addition of Third Realm to the family. The new album will drop in July! Third Realm's The Suffering Angel marks Distortion's 30th release! Hailing from Buffalo, New York, Third Realm is the eclectic dark electronic project founded by Nathan Reiner in 2000. Heavily influenced by Dark Wave and Industrial artists, Reiner puts his own twist on things demonstrating strong production skills, clever songwriting and meaningful lyrics. Third Realm has received international recognition through club/radio play, film placement and has shared the stage with some notable bands such as Psyclon Nine, Dawn of Ashes, Voltaire, Aesthetic Perfection, Hanzel Und Gretyl, Seabound, Panic Lift, Surgyn, Architect, VOWWS & more! Reiner is joined by Arrow Fitzgibbon & Mike Reiner for live performances. "The Suffering Angel" is the ninth full length release from Third Realm. The album starts off incorporating elements that haven't been heard since the release of "Love is the Devil". The unhinged aggrotech approach is soon followed by a mixture of driving Industrial patterns, EBM basslines and Dark Wave morbidness. As Third Realm is known to do, the album invokes a strange balance between hope and sadness. There is something raw, gritty, yet refined about these tracks.